Miss Sloane is thrilling. I had no idea what it was about when I saw it, so I was expecting to not like it very much. But I was riveted from the beginning right through the very end. Jessica Chastain commands the screen, and I am quite shocked that she’s so far only been nominated for a Golden Globe for her masterful performance. This is one of the best films of the years, and it deserves all the accolades, but it’s surely going to be overlooked by everything. 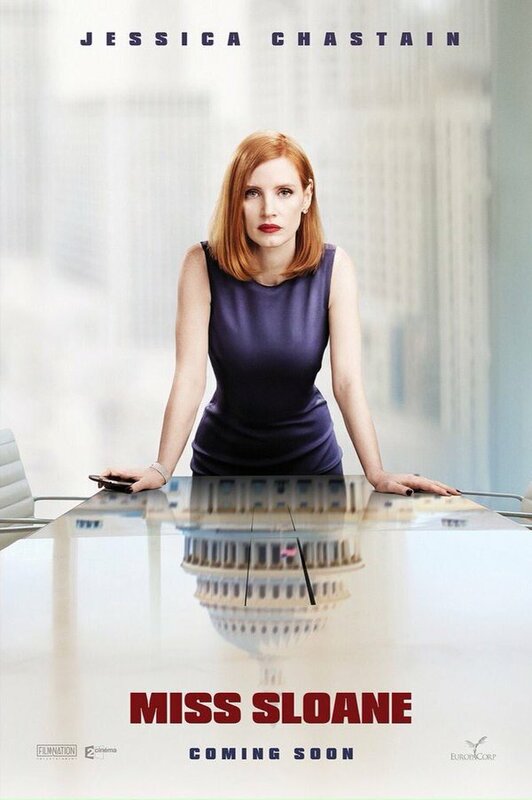 – Best Actress in a Leading Role: Jessica Chastain is an unrivaled force as Elizabeth Sloane. I would love for her to win the Oscar, but at this point, I’ll just be happy if she’s even nominated. – Best Actress in a Supporting Role: Gugu Mbatha-Raw would be a dark horse in this race. I doubt very much that she’ll make the final cut, but she definitely deserves recognition for her performance in this film. – Best Original Screenplay: Jonathan Perera weaves an intricate web, leading us on a wild ride that ends in a booming firework display.